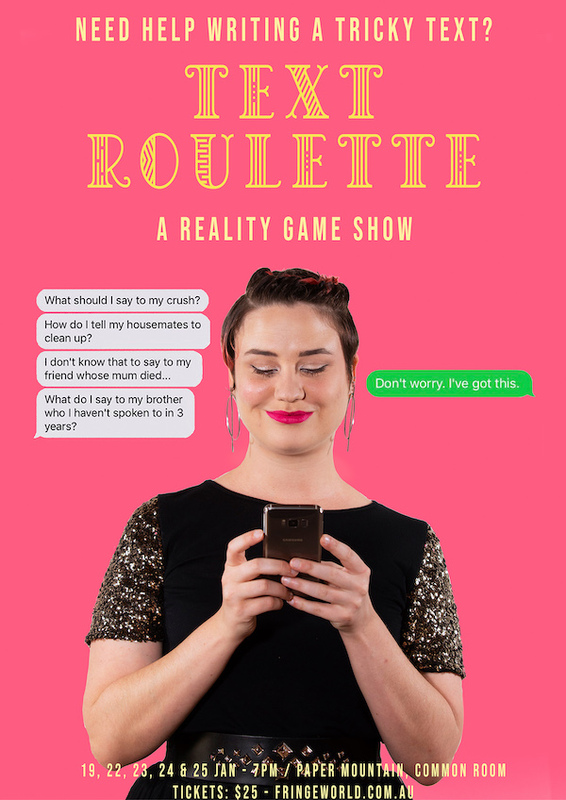 Text Roulette is an interactive FRINGE WORLD show heading to Paper Mountain this summer on Saturday, January 19 and Tuesday through to Friday January 22-25. Is there a message you need to send and don’t know quite how to say it? Well play Text Roulette and let the host Finn O’Branagáin save the day for you. Sign up to anonymously have your text drafted live on stage, or purchase a ticket to see the process unfold. We’ve all had times when we’ve got the dark art of texting completely wrong or been on the receiving end of someone who has. Whether it be messaging the wrong person, waking after a big night to look in horror at what you sent out the night before, or of course those dreaded auto-corrects. Admit it, we could all use a bit of help here! We’re stoked to have 2 in-season double passes to giveaway to Text Roulette, opening Saturday, January 19. To enter simply email us here at win@xpressmag.com.au with TEXT ROULETTE in the subject line and your preferred night to attend a show. Then let us know your ‘texting fail’ story on the Facebook post. Don’t forget to like the X-Press Facebook page and sign up to the newsletter to be in the running! Competition closes Monday, January 21 at 5pm. Please only enter if you can attend. You must be a Perth, WA resident and able to attend at Paper Mountain on the night you have nominated.